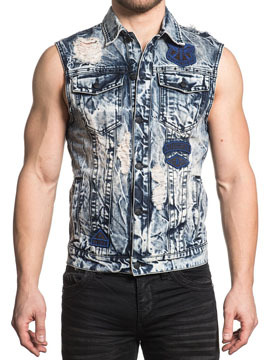 Affliction Live Fast Gauntlet mens sleeveless button up front denim vest features two chest pockets, two side pockets, several sewn embroidered patches with Affliction logo, swords, military recon themes, heavy bleach, distressing and holes on the front. The back features heavy bleach, distressing and holes with military recon sword and shield embroidered patches sewn near one shoulder and hem. 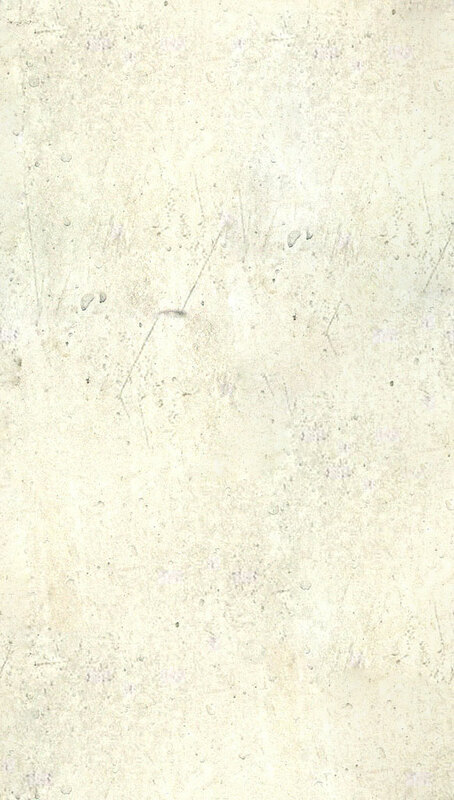 Heavy lava wash for distressed and vintage look. 100% cotton, custom buttons, medium weight, slim fit. Garment dyed with silicon wash for soft feel. Color: indigo blue.